We invite papers for the PhD Workshop organised in conjunction with the Åbo Akademi's annual seminar in the minority research taking place on April 25th. The annual seminar of the Åbo Akademi University minority research profile will explore histories and historiographies of minority positions. It will trace practices of exclusion and inclusion, agency and mobility through archives and the materialities of class, race, body, gender and religion. How, what and whose stories are being told and untold - and by whom? How can they be told otherwise? Confirmed seminar speakers are Milinda Banerjee (Presidency University), Daniel Blackie (University of Oulu), Gunlög Fur (Linnaeus University), Mona Oraby (Amherst College), Dorottya Szikra (Hungarian Academy of Sciences), Miika Tervonen (University of Helsinki). Speakers will also act as commentators at the doctoral workshop. The organizers invite doctoral researchers approaching histories and historiographies of minority position from diverse disciplinary angles to submit paper proposals critically exploring dominant and marginalized minority narratives, subjectivities and identities they produce/have produced and resistance they engender/have engendered. Interested PhD students can submit abstracts not exceeding 500 words by January 15th to both magdalena.kmak[at]abo.fi and pamela.slotte[at]abo.fi Selected speakers will be asked to submit full papers of approx. 3000 words by March 30th. The organizers are not able to pay for travels or accommodation of selected workshop speakers. Thanks to all for reading my posts about developing syllabi for a two-semester American Legal History survey; adapting my survey to a quarter-based system; choosing readings and assembling course materials; writing lectures and preparing for class; encouraging in-class discussion; and developing assignments. I will be posting my syllabi at The Docket’s Teaching Legal History project once it is up and running. Finally, I want to encourage interested readers to propose pedagogical panels for the ASLH annual meeting. The 2018 ASLH Annual Meeting featured a fantastic preconference on teaching legal history, organized by Katrina Jagodinsky, and I hope these kinds of discussions become established features of our meetings going forward. I’ve learned the most about teaching legal history from conversations with other legal historians about what works and (equally important) what doesn’t. The ASLH Call for Papers for the 2019 annual meeting in Boston (Nov. 21-24) welcomes proposals for skills/pedagogical workshops; I encourage anyone who’s interested in organizing such a panel and finding co-panelists to post on H-Law, tweet using #ASLH2019, and/or comment below. Chin on Frampton, "The Jim Crow Jury"
This article challenges the practice of non-unanimous criminal jury verdicts in Louisiana. In a certain sense, the article was irrelevant, moot, by the time it saw print. This is not because, say, it was about an election that was already over, or made an argument that the courts had definitively rejected. Instead, the claim in this paper was so factually, legally and historically compelling that even in draft form it spurred concrete action; thanks in part to this paper, the policy it analyzed was both declared unconstitutional by a court, and repealed by the voters. The article carefully recounts the history of the substantial elimination of African Americans from juries in Louisiana after Reconstruction. African Americans were, of course, a major part of the population of most of the former Confederate states, and amounted to a majority in Louisiana, Mississippi, and South Carolina. As Frederick Douglass wrote, “the liberties of the American people” depended on “the Jury-box” as well as “the Ballot-box,” if allowed to serve on juries, there was the danger that African American defendants would get a fair hearing, and that Whites (and White officials) accused of crimes against African Americans could be convicted. These were risks that White supremacists could not accept. legal system, bound by formulaic texts yet suffused by unfettered discretion. While judges may indeed refer to passages in the classical texts or have recourse to their own orientations, images of binding doctrine and unbounded choice do not reflect the full reality of the Islamic law in its everyday practice. 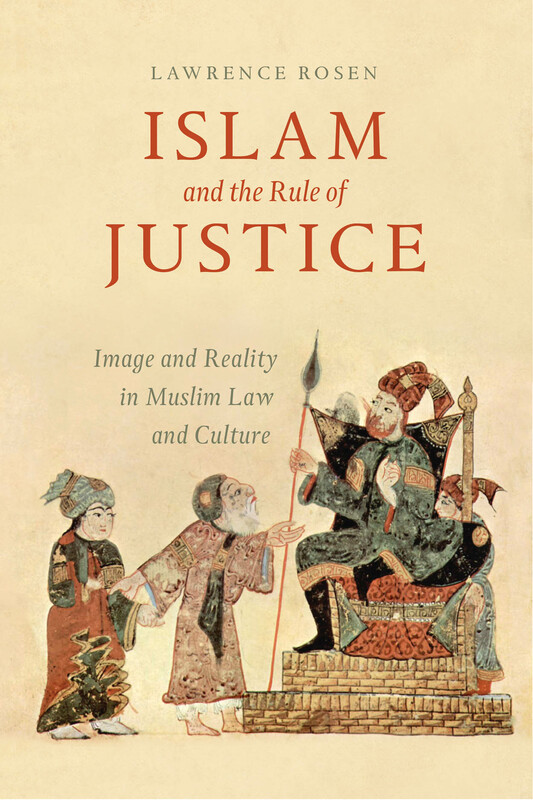 Whether in the Arabic-speaking world, the Muslim portions of South and Southeast Asia, or the countries to which many Muslims have migrated, Islamic law works is readily misunderstood if the local cultures in which it is embedded are not taken into account. With Islam and the Rule of Justice, Lawrence Rosen analyzes a number of these misperceptions. Drawing on specific cases, he explores the application of Islamic law to the treatment of women (who win most of their cases), the relations between Muslims and Jews (which frequently involve close personal and financial ties), and the structure of widespread corruption (which played a key role in prompting the Arab Spring). From these case studies, the role of informal mechanisms in the resolution of local disputes [is explored]. The author also provides a close reading of the trial of Zacarias Moussaoui, who was charged in an American court with helping to carry out the 9/11 attacks, using insights into how Islamic justice works to explain the defendant’s actions during the trial. The book closes with an examination of how Islamic cultural concepts may come to bear on the constitutional structure and legal reforms many Muslim countries have been undertaking. Today I'm going to focus on the kinds of assignments I've used in my American legal history courses. When I taught on the semester system, I required students to write a five-page book review (of a book they chose from a list I provided). Since few students had much practice writing reviews of scholarly monographs, I attached to the assignment an extensive rubric that emphasized analysis over summary and listed various things their paper should do. (For example: “The paper describes and critically assesses the clarity and organization of the author’s narrative in light of what the author was attempting to accomplish; and the paper describes the specific kinds of primary sources used, and evaluates how well they support the author’s narrative and argument; and the paper discusses how well the topic is defined and critically assesses the author’s choices to include or exclude certain topics and groups of people.”) I also asked students to analyze their monograph as a work of legal history. (“The paper engages broader points about the relationship between law and society and the usefulness of legal sources in addressing this issue.”) Breaking down the assignment into pieces (each with a specific number of points assigned) helped students figure out how to approach the project (and, frankly, made the papers much easier for me to grade). The Declaration of Independence states that “all men are created equal, that they are endowed by their Creator with certain unalienable rights, that among these are life, liberty and the pursuit of happiness.” Would the pre-revolutionary colonists we’ve studied agree with this? How might their reactions depend on their political, economic, and social status? In Lawrence v. Texas (2003), the Supreme Court observed that “In our tradition the State is not omnipresent in the home.” Is this a correct description of how law has operated to define gender relations since World War II? How much room have men and women had to define marriage and gender roles for themselves, and to what extent have these been defined by courts and legislatures? When I moved to a school on a quarter system, I was reluctant to sacrifice any my eighteen class days for an in-class exam. I thus tried to design paper assignments that would assess students’ understanding of broad course themes, skill in analyzing legal history sources, and ability to synthesize primary and secondary sources while developing an argument related to those themes. My now-standard paper assignment in my legal history courses gives students a source we have not read or talked about in class and asks them to analyze it. As I tell them, this is not a research paper, and requires no outside knowledge of the source; instead, I want to see how well they can make sense of the source given the information they have from class lectures, discussions, and readings. I also try to make it clear to students that they have freedom in how they approach the source; giving students a choice of documents, or a lengthier document where they can choose one part to discuss, reinforces that. I’ve asked students to do the same kind of analysis with sources including the New York State Ratification of the Constitution (1788), Cleland v. Waters (Ga. 1855); Hoke v. United States (1913), and United States v. Cartozian (D. Or. 1925). In my Gender & the Law class, which I teach chronologically using a historical approach, I recently gave students three late nineteenth-century cases: McIntyre v. McIntyre (N.Y. Misc. 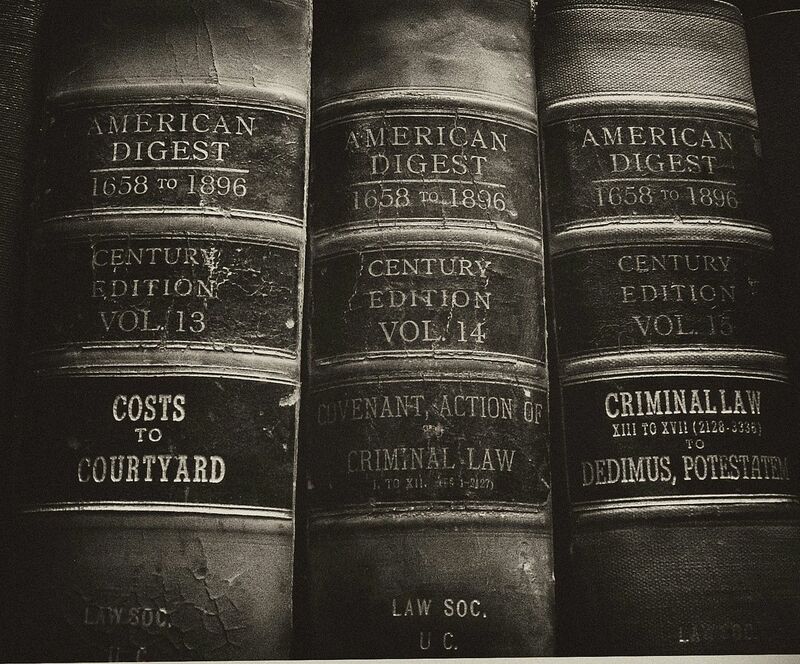 1894) (a collusive divorce case), Hood v. Sudderth (N.C. 1892) (a seduction case), and Paulin v. State (Tex. App. 1886) (a criminal prosecution of a husband who had killed his wife’s lover). Students were free to focus on one case, pull out common themes in two or three of the cases, etc. I like to give students the whole unedited source for this assignment, which means the source should not be too long, and court cases should not be too full of procedural or technical language that might stump undergraduates. Finding suitable cases is challenging, and often means I’m frantically skimming nineteenth-century treatises on HeinOnline the night before I promised the paper prompt would be available. However, now that I use this assignment in several of my classes, I’ve been keeping a list of cases and other sources that might work well as I run across citations in books and articles. (I’ve been waiting for a chance to have students write about State v. Hunter [Or. 1956]). Another assignment I’ve adopted and adapted to great effect in my legal history courses is the “50 word assignment.” As I mentioned in an earlier post, in my legal history courses, I am fortunate enough to have graduate student teaching assistants to lead students in weekly discussions of the academic article or book chapter assigned that week. I want to set everyone up for a successful discussion by making sure students arrive at discussion section having actually done the reading. Thus, I require students to submit a one-sentence summary of the assigned reading (no more than 50 words) before their section meets; each sentence is worth a small number of points. A concise summary of an academic argument is hard to do well, and this serves as an excellent writing exercise. In addition, one can see immediately whether students understood the reading. (I find that summaries work better for this purpose than the discussion questions I used to assign.) The sentences are also very easy to grade quickly. The struggle for access to medical marijuana differs from most other battles for therapeutic freedom in American history because marijuana also has a popular, though controversial, nontherapeutic use—delivery of a recreational high. After considering struggles over the medical use of alcohol during prohibition as a precedent, this chapter relates the history of medical marijuana use and regulation in the United States. The bulk of the chapter focuses on the medical marijuana movement from the 1970s to present. This campaign has been one of the prime examples of a successful extrajudicial social movement for freedom of therapeutic choice. With the exception of a single promising decision in 1975, courts have uniformly rejected arguments for medical marijuana access. But the 1996 passage of Proposition 215 in California triggered a tremendous wave of state measures legalizing medical cannabis, as well as a dramatic change in American attitudes about the issue. The chapter recounts this history in light of the special legal, political, and rhetorical challenges medical cannabis advocates have faced. First, many officials have opposed the legalization of medical marijuana, regardless of whether it offers therapeutic benefits, because of the public health harms and moral degradation they associate with the use of pot. Second, marijuana’s designation as a Schedule I substance under the Controlled Substances Act of 1970, and the DEA’s rejection of multiple citizen petitions to reclassify it, has placed extremely high obstacles in the way of researchers interested in scientifically assessing marijuana’s therapeutic efficacy. Third, federal government policies have lagged behind public preference and state law. Finally, medical marijuana supporters have had to negotiate an invaluable but fraught relationship with advocates for comprehensive marijuana legalization. The perspectives and goals of these two groups have overlapped and conflicted in fascinating and unexpected ways. The Literary and Legal Genealogy of Native American Dispossession offers a unique interpretation of how literary and public discourses influenced three U.S. Supreme Court Rulings written by Chief Justice John Marshall with respect to Native Americans. 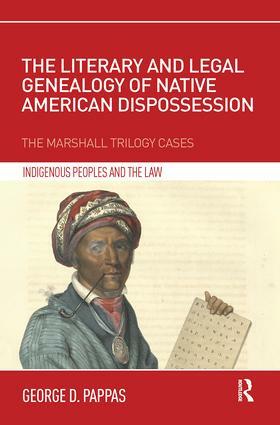 These cases, Johnson v. M’Intosh (1823), Cherokee Nation v. Georgia (1831) and Worcester v. Georgia (1832), collectively known as the Marshall Trilogy, have formed the legal basis for the dispossession of indigenous populations throughout the Commonwealth. The Trilogy cases are usually approached as ‘pure’ legal judgments. This book maintains, however, that it was the literary and public discourses from the early sixteenth through to the early nineteenth centuries that established a discursive tradition which, in part, transformed the American Indians from owners to ‘mere occupants’ of their land. Exploring the literary genesis of Marshall’s judgments, George Pappas draws on the work of Michel Foucault, Edward Said and Homi Bhabha, to analyse how these formative U.S. Supreme Court rulings blurred the distinction between literature and law. An historical approach to constitutional interpretation draws upon original intentions or understandings of the meaning or application of a constitutional provision. Comparing the ways in which courts in different jurisdictions use history is a complex exercise. In recent years, academic and judicial discussion of “originalism” has obscured both the global prevalence of resorting to historical materials as an interpretive resource and the impressive diversity of approaches courts may take to deploying those materials. This chapter seeks, in Section B, to develop a basic taxonomy of historical approaches. Section C explores in greater depth the practices of eight jurisdictions with constitutional courts or apex courts that engage in constitutional review: those of the United States, Canada, Germany, Australia, India, Hong Kong, Malaysia, and Singapore. Because our selection of cases aims to be illustrative rather than exhaustive, we do not attempt to draw firm conclusions about the global use of constitutional history. Still, the qualitative evidence that follows hints at what might well be universal within constitutional judging: (1) the significance of history broadly understood, and (2) the limits on history’s reach into contemporary rights conflicts. From 1870 to 1940, racial eligibility for naturalization in the United States was limited to “free white persons” and “aliens of African nativity and persons of African descent,” and many interpreted these restrictions to reflect a policy of Asian exclusion based on the conclusion that Asians were neither white nor African. 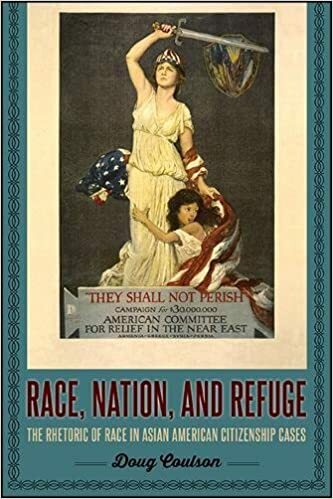 Because the distinction between white and Asian was considerably unstable, however, those charged with the interpretation and implementation of the naturalization act faced difficult racial classification questions. Through archival research and a close reading of the arguments contained in the documents of the US Bureau of Naturalization, especially those documents that discussed challenges to racial eligibility for naturalization, Doug Coulson demonstrates that the strategy of foregrounding shared external threats to the nation as a means of transcending perceived racial divisions was often more important to racial classification than legal doctrine. He argues that this was due to the rapid shifts in the nation’s enmities and alliances during the early twentieth century and the close relationship between race, nation, and sovereignty. On October 16, 2018, Robert Tsai, American University College of Law, delivered What Might Have Been, the keynote lecture of a program on the 75th Anniversary of the Barnette decision at the Robert H. Jackson Center in Jamestown, NY. It is now up on YouTube. The lecture draws upon Professor Tsai’s archival research on the switch between Gobitis to Barnette and especially Justice Jackson’s revisions of his opinion in the latter case. He argues that Jackson should gone with his first instincts. Professor Tsai also discussed the cases in Reconsidering Gobitis: An Exercise in Presidential Leadership, 86 Wash. U. L. Rev. 363 (2008). The Institute for Justice has posted a podcast to commemorate the 150th anniversary of the Fourteenth Amendment. The participants are Daniel Harawa, NAACP Legal Defense and Educational Fund; Aderson Francois, Georgetown Law; Kurt Lash, University of Richmond School of Law; and Gerard Magliocca, Indiana University Robert H. McKinney School of Law. Fahad Bishara and Cynthia Nicoletti discuss their ASLH-prize-winning books over at UVA Today. An advance alert from Cambridge Core has brought news of the on-line publication of A Deep History of Chinese Shareholding, by Madeleine Zelin, Columbia University, in Law and History Review. Also, no, you’re not going to make it through the final days of 2018 without yet another reference to Hamilton the musical. Thanks to Karen, Dan, and Mitra for letting me post a hiring announcement from my own program! Northwestern’s Center for Legal Studies is pleased to continue a collaborative partnership with the Jack Miller Center for Teaching America’s Founding Principles and History. We seek applications for the centerpiece of the partnership: a two-year post-doctoral fellowship held in residence at Northwestern University’s Center for Legal Studies beginning September 1, 2019. A strong preference will be given to candidates working at the intersections of constitutional innovation, politics, and law in the context of the rise of eighteenth century invention, new understandings of property, the Enlightenment, and the creation of the United States. Particularly encouraged to apply are candidates in legal history, the history of political and economic thought, and/or political theory whose work is empirically grounded in the eighteenth century but has significant contemporary implications for questions of constitutionalism, liberty, equality, and democracy. The post-doctoral fellow will offer three courses per year on topics pertaining to early American and Atlantic Enlightenment history, political and economic thought, and/or social science. In addition to engaging in an active research and publishing agenda, the candidate is expected to provide a reasonable amount of assistance with organizing other activities associated with the Fellowship and the Legal Studies Program. The annual salary for the fellow is $50,000, plus fringe benefits and a $1,500 renewable annual research budget. The fellow is required to organize and participate in several activities associated with Jack Miller Center events at Northwestern. These activities include producing an essay on the fellow’s work; participating in the Annual Jack Miller Faculty Development Summer Institute for professors; working with Legal Studies faculty hosting a website that features the fellow’s work and other activities related to the Jack Miller Center; and planning, attending, and participating in the Law in Motion Lecture series. Generous funds are available to bring in scholars central to the fellow’s own scholarship for such events. This is a nine-month faculty appointment, and applicant must have a Ph.D. in hand by September 1, 2019. Applicants should submit a cover letter stating qualifications and field of interest, a CV, a writing sample, a sample syllabus of a proposed course, and two letters of recommendation. Northwestern University is an Equal Opportunity, Affirmative Action Employer of all protected classes, including veterans and individuals with disabilities. Women, racial and ethnic minorities, individuals with disabilities, and veterans are encouraged to apply. Hiring is contingent upon eligibility to work in the United States. Applications should be submitted no later than February 15, 2019. Please contact Ann Kelchner (a-kelchner @ northwestern.edu) with questions. I last wrote about writing lectures and preparing for class; today I’m going to focus on how I spend my time in the classroom. As my earlier posts suggest, I use primary sources in the classroom as much as possible. I learned to teach this way in graduate school at the University of Chicago, where I was a teaching assistant, and then an instructor, in (what was then) the America in Western Civilization sequence. I really enjoyed leading small seminars in which students discussed primary sources, and when I began teaching larger courses, I tried to use this approach as much as possible. Now I teach most of my classes through a mix of lecture and discussion—I lecture for a bit, then stop and ask students to reflect on one of the assigned sources, then lecture, then discuss another source, etc. The balance between lecture and discussion shifts a little every day, depending on how many sources I’ve assigned, and how rich those sources are. Obviously this takes experimentation, and early on I assigned way too many sources so that I wouldn’t run out of things to discuss. As I had a better sense of how much students have to say (and how much they want to say) about different sources, I scaled back the assigned materials accordingly. I find that (most, or at least enough) students will do the reading if they know they are accountable for it, so I do want to leave enough time to cover each source I assigned. On the first day of class I model what I want discussion to look like going forward. I pass out a copy of a primary source, ask the students to take a few minutes to read it, and then we work through it as a class. In the first half of the survey, I hand out a selection of provisions from the Lawes Devine, Morall, and Martiall (Va. 1611) and ask students what they can figure out from the text. (I often call for volunteers to read various sections aloud—it means less of me talking, and allows students to participate in a different way.) Provisions prescribing whipping or (mostly) death for a range of crimes, many focused on threats to the food and water supply, are short and straightforward to read. Asking students to discuss what the source does and does not tell us, and what it suggests about conditions in early Virginia, works well to get students engaged with source analysis and sets them up to do this on their own at home. In the second half of the survey, I’ve sometimes started the course by asking the class to engage in a very close reading of the Fourteenth Amendment—a very different source, but one we’ll come back to again and again in that class. A tangent: I really like using colonial American legal materials in class, not least because they’re generally so short and incomplete. They’re also usually free of formal legal jargon that can confuse undergraduates. Cases about drunkenness and fornication that are only a few sentences long are easy to read, but require students to use what they’ve learned in class as they puzzle over possible reasons why X received a lighter sentence than Y. They also require students to acknowledge that there’s a huge amount of information that they just don’t have. This serves them well as the sources get longer and more complex in later weeks. I require students to bring the assigned primary sources (on paper or electronically) to each class so that we all have the text in front of us during discussion. I also try to make it very clear to students how to read these sources. I have written up guides for reading primary sources and secondary sources (which I post in our course management system); I also assign Orin Kerr’s article “How to Read a Legal Opinion: A Guide for New Law Students,” Green Bag 11 (Autumn 2007), which does a good job walking students through some of the technicalities. I use Powerpoint sparingly, for lecture outlines and for images, but I do often include the questions I plan to ask about a particular document on a slide, to give students a minute or so to think through some answer. A practical note: I have used this approach successfully in classes as large as about 80. Even at that size, there’s enough time for a significant percentage of the students to speak every day, and everyone can participate pretty frequently. (I incentivize this, of course, by awarding points for class participation and by rather theatrically jotting down each student’s name in my notes as they talk.) As I have learned the hard way, of course, classroom design plays a crucial role here. Some classrooms on my campus are arranged so that students can all see and hear one another; in others, the acoustics are such that I end up having to repeat all student comments to the group. In my next post, I'll discuss the assignments I use in my legal history courses. The ancient Roman Empire utilized, promoted and relied upon long-distance maritime trade in a scale unprecedented in the ancient world. This led to the development of both trade networks that made possible the growth of urban centres, water-related infrastructures and economic specialization, but also a normative framework, which enabled trade and commerce across political, linguistic and cultural boundaries. The purpose of this workshop is to explore the emergence of the Roman system of maritime trade both as a logistical and a normative enterprise. The technology of transportation, from the ships to the ports and warehouses, developed in tandem with the rules that governed that trade. The conference will benefit of communications that place legal theory versus daily sea practices. The organizers invite paper proposals for a number of central themes relating to the topic. The issues addressed are Food distribution and the annona; Taxation; Socio-legal structure of maritime enterprises; Administration and regulation of port environments; Risks and hazards of seafaring (e.g. piracy); Financing maritime trade; Stockage and warehousing; Freedom of navigation and the administration of trade (migration, control of movement); Interaction between native and Roman law (issues of compliance and enforcement, dispute resolution). Confirmed keynote speakers are Prof. Eva Jakab (University of Szeged, Hungary); Prof. Roberto Fiori ("Tor Vergata" University, Rome); and Prof. Simon J. Keay (BSR, BA, University of Southampton, UK). There is no conference fee. The organizers are unfortunately unable to aid in either travel arrangements or the cost of travel. Republican Tradition (Spacelaw). Funded by the European Research Council and Helsinki Collegium for Advanced Studies and cosponsored by the University of Edinburgh. Recent histories identify the 1970s as the “breakthrough” period when human rights discourse gained traction globally. However, most of the new historiographers adopt an Americo-Eurocentric perspective that disregards events and peoples in the rest of the world. For many in the Global South, the Western rediscovery of human rights looks more like retrenchment and repossession, part of a larger “roll back” of Third World agendas to decolonize the international order. The 1970s also witnessed increased airline hijackings and a reversal in the meaning of “terrorism.” Together, these forces effected a neoliberal hijacking of human rights. In the years following the landmark United States Supreme Court decision on libel law in New York Times v. Sullivan, the court ruled on a number of additional cases that continued to shape the standards of protected speech. As part of this key series of judgments, the justices explored the contours of the Sullivan ruling and established the definition of “reckless disregard” as it pertains to “actual malice” in the case of St. Amant v. Thompson. While an array of scholarly and legal literature examines Sullivan and some subsequent cases, the St. Amant case—once called “the most important of the recent Supreme Court libel decisions”—has not received the attention it warrants. Eric P. Robinson’s Reckless Disregard corrects this omission with a thorough analysis of the case and its ramifications. The history of St. Amant v. Thompson begins with the contentious 1962 U.S. Senate primary election in Louisiana, between incumbent Russell Long and businessman Philemon “Phil” A. St. Amant. The initial lawsuit stemmed from a televised campaign address in which St. Amant attempted to demonstrate Long’s alleged connections with organized crime and corrupt union officials. Although St. Amant’s claims had no effect on the outcome of the election, a little-noticed statement he made during the address—that money had “passed hands” between Baton Rouge Teamsters leader Ed Partin and East Baton Rouge Parish deputy sheriff Herman A. Thompson—led to a defamation lawsuit that ultimately passed through the legal system to the Supreme Court. A decisive step in the journey toward the robust protections that American courts provide to comments about public officials, public figures, and matters of public interest, St. Amant v. Thompson serves as a significant development in modern American defamation law. Robinson’s study deftly examines the background of the legal proceedings as well as their social and political context. His analysis of how the Supreme Court ruled in this case reveals the justices’ internal deliberations, shedding new light on a judgment that forever changed American libel law. The book reviews consist of the latest installment of Donald Grier Stephenson, Jr.’s “Judicial Bookshelf” and Charles F. Hobson’s review essay on Paul Finkelman’s Supreme Injustice: Slavery in the Nation’s Highest Court (Harvard University Press, 2018). In particular, the excerpts from Belknap’s diary on OT 1915 are engrossing. I suppose they mostly confirm what we already know about Holmes, but still the remarks Belknap records vivify a great judicial icon. New ASLH Website Goes Live! We've just learned from ASLH President Sarah Barringer Gordon that the new website of the American Society for Legal History is now live. She expressed her gratitude to the ASLH's Committee on Web and Media Presence, chaired by Christopher Beauchamp and including Holly Brewer, Dan Ernst, Alison Tirres, Anne Twitty, and Charles Zelden. The firm Extra Small Design did the honors. This article examines the emergence of a new corps of legal practitioners in Egypt during the 1860s and early 1870s. The proceedings of hundreds of merchant court cases in mid-19th-century Cairo are replete with references to deputies and agents (wukalā; sing. wakīl) who represented merchant-litigants in a wide range of commercial disputes. Examining how these historical actors understood Egyptian, Ottoman, and French laws, and how they strategically deployed their knowledge in the merchant courts, this article revises the commonly accepted historical account of the founding of the legal profession in Egypt. Specifically, it argues that norms of legal practice hitherto linked to the establishment of the Mixed Courts in 1876 were already being formed and refined within the realm of commercial law as part of a more comprehensive program of legal reforms underway during the middle decades of the 19th century. In uncovering this genealogy of practice, the article reevaluates the extent to which the khedival state shared a legal culture with the Ottoman center, and, simultaneously, created the space for a new form of legal representation that became ubiquitous under British, and, subsequently, postcolonial rule. 2018 recipients: Jane Burbank, Collegiate Professor and Professor of History and Russian and Slavic Studies at New York University; Annette Gordon-Reed, Charles Warren Professor of American Legal History at Harvard Law School and Professor of History in the Faculty of Arts and Sciences at Harvard University; and Robert C. Palmer, Professor of History and Law at the University of Houston. Members of this year's Honors Committee were Bruce H. Mann (Harvard University) (chair); Constance Backhouse (University of Ottawa); and Lauren Benton (Vanderbilt University), and Michael Grossberg (Indiana University). The William Nelson Cromwell Foundation offers an annual prize of $5,000 for the best article in American legal history published by an early career scholar. Articles published in the field of American legal history, broadly conceived, will be considered. There is a preference for articles in the colonial and early National periods. Articles published in the Law and History Review are eligible for the Surrency Prize and will not be considered for the Cromwell Article Prize. 2018 recipient: Noam Maggor, “To Coddle and Caress These Great Capitalists: Eastern Money, Frontier Populism, and the Politics of Market-Making in the American West,” American Historical Review 122 (February 2017): 55-84. Committee citation: In our deliberations, committee members were struck by the originality and ambition of Maggor’s argument. Maggor recovers an overlooked history of state constitution-making in the Gilded Age, connecting late nineteenth-century legal and political development in the American West to the transformation of the United States into a modern industrial nation, the expansion of finance capitalism, and the integration of multiple peripheries into the world economy. 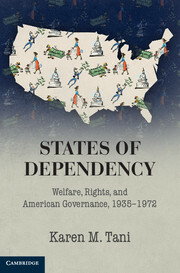 While many scholars have viewed the consolidation of a national market after the Civil War as inevitable, interpreting the growth of American government as a reaction to a largely apolitical process of industrialization, Maggor casts American political development as “fully constitutive of economic change.” Exploring contingent and contested deliberations over water rights, labor protections, and the power of the state to regulate corporations, Maggor reveals how market integration fanned ongoing struggles over the distribution of material resources, the transparency and legibility of local markets to outside investors, and the geography of the marketplace (whether the Western states would serve the larger economy primarily as a source of raw materials or could become economic centers in their own right). Maggor’s richly textured story describes how financiers from major East Coast cities went west after the Civil War in search of investment opportunities, transforming the economies and landscapes of the frontier. As money flowed from New York and Boston to Colorado, the Dakotas, Idaho, Montana, and Wyoming, western settlers in the 1870s and 1880s lobbied for statehood, splintering power away from the federal government even as a national market was emerging. Unlike the top-down institution-building that marked developing economies elsewhere in the world, the drafting of state constitutions in the American West brought together settlers of vastly different social and economic standing, from farmers and miners to lawyers and small businessmen, who would attempt to establish democratic controls over the market. Rejecting federal-style constitutions that laid out basic principles and left policy details to the legislature, western delegates engaged in robust debate about whether to “prioritize actual settlers over investors, . 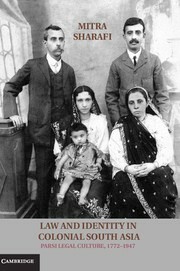 . . democratic processes over financial imperatives and relative regional autonomy over the prerogatives of a national market.” Maggor paints a fascinating portrait of the legal consciousness of the delegates, whose dynamic experiences as migrants and settlers led them to privilege pragmatism over formalism and conditions on the ground over abstract ideas. Delegates proposed innovative water rights regimes, corporate regulatory schemes, and labor protections that departed from established practice back east and worked around anti-regulatory Supreme Court precedent. And when corporate representatives warned that the proposals would inhibit outside investment, the delegates compromised in ways that varied from state to state. Maggor labels the resulting constitutional patchwork “a complex new geography” that was “not a clear triumph for any particular interest,” but instead “bore the mark of the divides and disagreements that had surfaced during the writing process.” The committee was very impressed with how Maggor brings together major issues in legal, political, and economic history, connecting a series of scholarly literatures in, as one committee member said, “a startling and excellent way.” Maggor’s account of multiple state constitutional conventions is deeply researched, and his keen eye for detail captures lives and experiences in ways that show how individual agency can matter even in stories of structural transformation. With elegant writing and an engaging narrative style, Maggor makes a big and original contribution to multiple fields and will spark important new conversations in the legal history of economic development, regulation, and populist constitutionalism. We all believe that Maggor’s article is a true achievement that deserves recognition by the Cromwell Foundation. The members of this year's Cromwell article prize subcommittee were: H. Tomas Gomez-Arostegui (Lewis and Clark) and Erika Pani (Colegio de México). The William Nelson Cromwell Foundation awards annually a $5,000 book prize for excellence in scholarship in the field of American Legal History by an early career scholar. The prize is designed to recognize and promote new work in the field by graduate students, law students, post-doctoral fellows and faculty not yet tenured. The work may be in any area of American legal history, including constitutional and comparative studies, but scholarship in the colonial and early national periods will receive some preference. The prize is limited to a first book, wholly or primarily written while the author was untenured. 2018 recipient: Cynthia Nicoletti (University of Virginia), Secession on Trial: The Treason Prosecution of Jefferson Davis (Cambridge University Press, 2017). 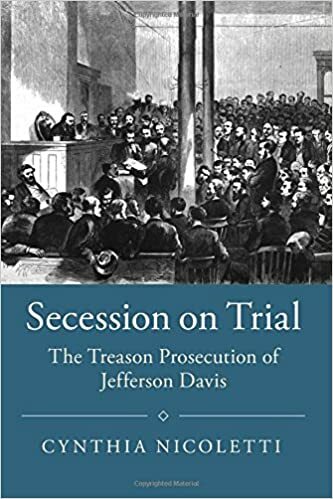 Committee citation: Cynthia Nicoletti’s Secession on Trial: The Treason Prosecution of Jefferson Davis ingeniously creates a page-turner out of a trial that never happened. In vivid detail and compelling prose Nicoletti uses the federal government’s abandoned prosecution of Jefferson Davis to challenge the conventional wisdom among historians and legal scholars that the verdict of the battlefield settled the legality of secession. Nicoletti instead illuminates the uncertainty among lawyers, politicians, and the populace on secession’s legality and thus the availability of a treason prosecution for those who had seceded. Along the way, she also argues for the centrality of law and legal thinking in post-Civil War America’s political culture, displaying both the law’s power and powerlessness. Former Unionists and Confederates alike showed continued faith and fidelity to law. Indeed, Nicoletti highlights examples of actors high and low resisting the push of politics to adhere to unfavorable legal outcomes and of the strange alliances this legal fidelity produced. Even as Nicoletti argues that law constrained politics in the postbellum period she also illuminates the ways political considerations shaped the course of the law—both the fear that Davis would be acquitted and, as the political ground shifted, of taking a position on the matter at all. 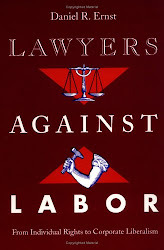 Nicoletti has written a beautiful work of legal history about working lawyers mired in legal and constitutional intricacies but fully aware of the potentially earth-shaking political consequences of their actions. Secession on Trial opens up fresh perspectives not only on the Civil War and Reconstruction but also the vexing and variable relationship between law and politics. The members of this year's Cromwell Book Prize subcommittee were Sophia Lee (University of Pennsylvania) (chair); Felice Batlan (Chicago-Kent College of Law); Jonathan Levy (University of Chicago); and Thomas Mackey (University of Louisville). The William Nelson Cromwell Foundation has generously funded a dissertation prize of $5,000. The winning dissertation may focus on any area of American legal history, including constitutional and comparative studies; topics dealing with the colonial and early national periods will receive some preference. Anyone who received a Ph.D. in 2017 will be eligible for this year’s prize. 2018 recipient: Allison Powers, “Settlement Colonialism: Compensatory Justice in United States Expansion, 1903-1941”—a dissertation submitted for a Ph.D. at Columbia University. Committee citation: This elegantly structured and beautifully written dissertation explores the operation and eventual demise of a system of international claims settlement tribunals established to compensate property owners for foreign property expropriated and damaged by and on behalf of the US Government in the second half of the nineteenth century. Through deep, multi-archival research, Powers shows how the system created unexpected opportunities for ordinary people to resist “settlement colonialism”. Indeed, she argues that claims brought by ordinary people transformed the commissions from showcases of US leadership in international justice, into spaces where US imperialism was exposed to the world. The members of this year's Cromwell dissertation prize subcommittee were Lisa Ford (University of New South Wales) (chair); H. Robert Baker (Georgia State University); Mary Sarah Bilder (Boston College); and Laura Weinrib (University of Chicago). The Sutherland Prize, named in honor of the late Donald W. Sutherland, a distinguished historian of the law of medieval England and a mentor of many students, is awarded annually, on the recommendation of the Sutherland Prize Committee, to the person or persons who wrote the best article on English legal history published in the previous year. 2018 recipient: Tom Lambert, “Jurisdiction as Property in England, 900-1100” in Legalism: Property and Ownership, edited by Georgy Kantor, Tom Lambert, and Hannah Skoda (Oxford University Press, 2017). The members of this year's Sutherland Prize Committee were Rebecca Probert (University of Exeter) (chair); Paul Halliday (University of Virginia); Allyson May (University of Western Ontario); and P.G. McHugh (University of Cambridge). This paper explores the interaction of British medical practitioners with the nascent intellectual property system in the nineteenth century. It challenges the generally accepted view that throughout the nineteenth century there was a settled or professionally agreed hostility to patenting. It demonstrates that medical practitioners made more substantial use of the patent system and related forms of protection than has previously been recognised. Nevertheless, the rate of patenting remained lower than in other fields of technical endeavour, but this can largely be explained by the public nature of medical practice during this period. This paper therefore seeks to retell the history of the exclusion of medical methods from patent protection, an exclusion whose history has produced a substantial body of scholarship. However, its aims go beyond this in that it also seeks to illuminate how medical practitioners engaged with the broader political and policy landscape in order to secure financial remuneration for their inventions. Through an exploration of how prominent doctors interacted with Parliament around claims for a financial reward, it demonstrates that doctors sought to use reputational advantage to leverage financial success and the important role that Parliament could play in that process. The Surrency Prize, named in honor of Erwin C. Surrency, a founding member and first president of the Society and for many years the editor of its former publication, the American Journal of Legal History, is awarded annually for the best article published in the Society’s journal, the Law and History Review, in the previous year. 2018 recipient: Natasha Wheatley “Spectral Legal Personality in Interwar International Law: On New Ways of Not Being a State,” Law and History Review 35 (August 2017): 753-757. Committee citation: This article sheds important new light to on key question for international law: Who is a subject of international law? Focusing on the turbulent interwar period, Wheatley examines key juristic arguments and opinions as to when and how non-state entities might be rethought as subjects, rather than objects, of that law. Both theoretically sophisticated and methodologically innovative, this article tackles the question by way of an anthropology of international law’s fictional persons. Drawing on both published debates and archival sources – in both English and German – Wheatley focuses on what she labels ‘the conceptual process of birthing new subjects’. In striking prose (that itself employs illusion and figure to give life to this story) she brings to the fore the recurrent metaphors and analogies of the new interwar discourse – those groups and institutions who are likened to slaves, spectres, the unborn and embryos and the irregular, the temporary, the virtual, the suspended, the unfinished and the vacated. It is these, she persuasively argues, that play midwife to the birthing of the new subjects of international law. Importantly, Wheatley concludes that as late arrivals these new legal persons were coded by their prior absence – they could be embryonic, unfree or abnormal – but they all represented new ways of not being a state. The members of the Surrency Prize Committee were Cornelia Dayton (University of Connecticut); Alison LaCroix (University of Chicago); Kunal Parker (University of Miami); and Laurie Wood (Florida State University). Named for John Phillip Reid, the prolific legal historian and founding member of the Society, and made possible by the generous contributions of his friends and colleagues, the John Phillip Reid Book Award is an annual award for the best monograph by a mid-career or senior scholar, published in English in any of the fields defined broadly as Anglo-American legal history, with a preference for work that falls within Reid’s own interests in seventeenth- through nineteenth-century Anglo-America and Native American law. 2018 recipient: Amalia D. Kessler (Stanford University), Inventing American Exceptionalism: The Origins of American Adversarial Legal Culture, 1800-1877 (New Haven: Yale University Press, 2017). Committee citation: Americans have long supposed that the adversarial trial, dominated by lawyers, was always at the heart of our legal system. 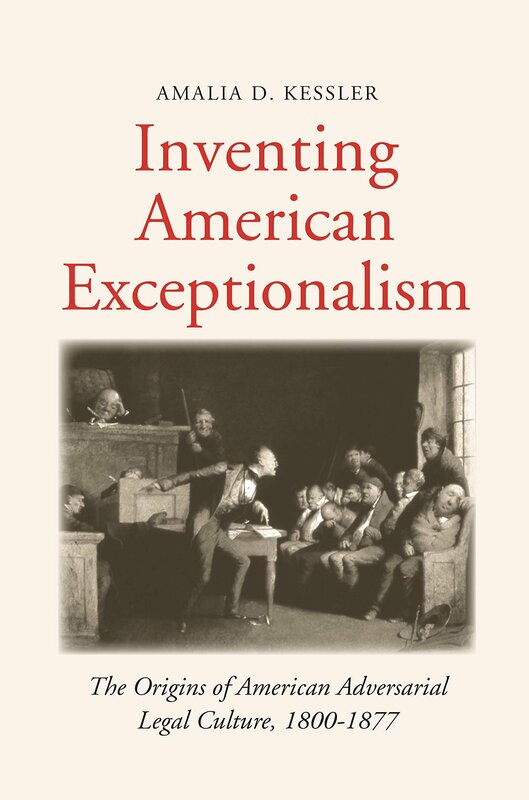 Amalia Kessler’s deeply thoughtful Inventing American Exceptionalism: The Origins of American Adversarial Legal Culture, 1800-1877 (Yale University Press, 2017) persuasively challenges this supposition. Kessler shows how mid-nineteenth century debates over market regulation, the role of the legal profession, religion, and Reconstruction helped elevate adversarialism over more judge-centered quasi-inquisitorial alternatives. Beautifully written and deeply original in conceptualization, this wonderful monograph reframes and expands the history of legal procedure by situating it in a wide array of contexts that previous accounts had not connected together. The members of this year's Reid Award Committee were Richard J. Ross (University of Illinois, Urbana-Champaign) (chair); Deborah Rosen (Lafayette College); Susan Carle (American University Washington College of Law); Laura Edwards (Duke University); and Christian McMillen (University of Virginia).